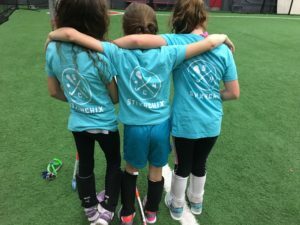 I have recently been thinking about the reason Stix 4 Chix is offering field hockey. It was always obvious that we would offer lacrosse, as it is one of the fastest growing sports around. According to U.S Lacrosse from 2006 to 2016 the participation in youth girls lacrosse went from 81,609 (2006) to 161,832 (2016) – essentially doubling. I grew up playing lacrosse, played through college and then started reffing, but my true love and passion has always been field hockey. 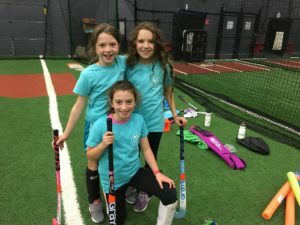 In 2017 I started exploring the idea of offering field hockey and recognized the giant gap in the fall offerings for girls. In the fall girls can play soccer. Boys have the chance to try football (flag football) and soccer (some towns offer other fall sports but those are the dominant ones), while girls are encouraged to start playing soccer. They can kick the ball around in the backyard, they can play with their neighborhood friends, and of course they are sign up for the local youth teams starting at 4 years old. Personally, I tried soccer and knew early on it was not for me, but all my friends played so I played. There were no other options for a girl who thrived on sports. Finally in 4th grade I was given a chance to try field hockey. I was lucky, Dedham County Day School (a local private school), began offering competitive sports in 4th grade. It was my big break, and it grew into my true love. Over the years I learned that field hockey is truly a team sport. There is no way ONE single player can dominate the game, you really need EVERYONE around you. You can be the most skilled player, but you can’t succeed on your own. This is unlike lacrosse, and for me what created my true passion. Knowing that I could not do it alone made me want to become the best TEAM player I could be! Creating this environment made me realize that team is everything. 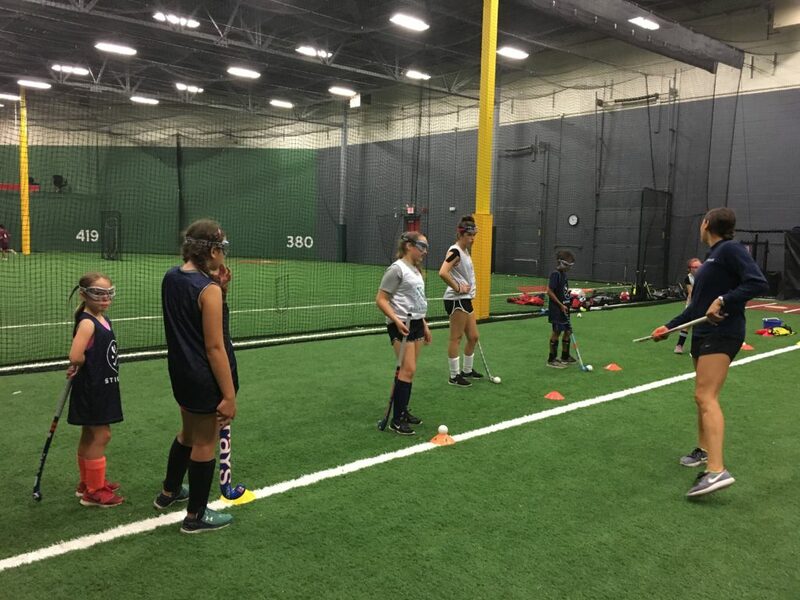 Now, as a teacher of the sport, an elementary educator and a business owner I can fully comprehend the value of field hockey! My hope is to bring a fire to the field hockey community! I would love for you to help fuel that fire and join me in the venture! It is a very rewarding sport and will teach your girls the true power of what team really is! Copyright ©2019 Stix4Chix All Rights Reserved.